The Mi A1 received its first Oreo beta update last week and a user has claimed that his phone now charges faster after updating. 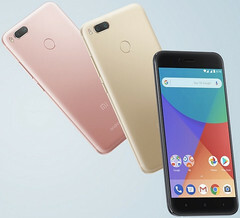 The Mi A1, since its launch, has quickly become a fan favorite, with the device's stock Android software making it one of the best options within its price segment. The Xiaomi mid-ranger received a closed beta update about a week ago, and a user has reported that his device now supports fast charging. According to the source, the Oreo beta update brought improvements to the device's camera performance, alongside all the regular Oreo features. Most importantly, the device saw a significant 25% boost in charging time, taking just over 90 minutes to charge, an improvement from the two-hour-window before the update. The Mi A1 houses a 3000 mAh battery, so a two-hour charge time is already on the unimpressive side when compared to its competitors. The user claimed that he used a OnePlus Dash Charger to achieve the 90 minutes charge period, and considering the Dash Charger has a 20W rating—the A1's regular charger is a normal 10W one—there's a chance the improvement is simply a result of the higher charge wattage. Of course, software usually controls how much power the device gets, so it's also possible that the Oreo update increased the limit a bit. All of this is conjecture, however, and we'll have to wait for confirmation from other sources.